To mark the week, Road Trauma Support Services Victoria is planning a number of activities to help shine a light on road safety. 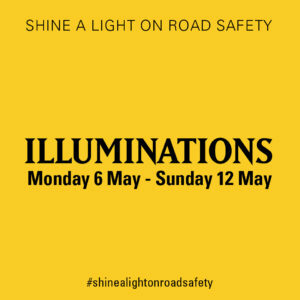 As part of this, they are asking people to turn their car headlights on while driving on Friday 10 May. If any bike riders would also like to show their commitment to road safety and support for people affected by road trauma they can join in by turning their bike lights on while riding. Road safety is a serious issue, and sadly, the number of people who get killed while riding a bike in Australia is not decreasing. The national average has been stuck on 37 for two decades. Many people are affected by road trauma and it is vital that we support them and show just how important it is that action is taken to reduce the toll. As well as cars and bikes, key Australian landmarks will also be illuminated in yellow for road safety throughout the week. There will also be a community walk at Albert Park on Sunday 5 May hosted by Road Trauma Support Services Victoria. Road Trauma Support Services Victoria provide support, counselling and information for people who have been impacted by road trauma. They have helped people affected by bike rider crashes, including Bicycle Network members. When: Sunday 5 May 2019. Entertainment starts at 11am, walk from 11.30 and lunch from 12 to 1.30 pm. The walk: Wheelchair, mobility scooter and prams accessible. Dogs on lead are welcome.